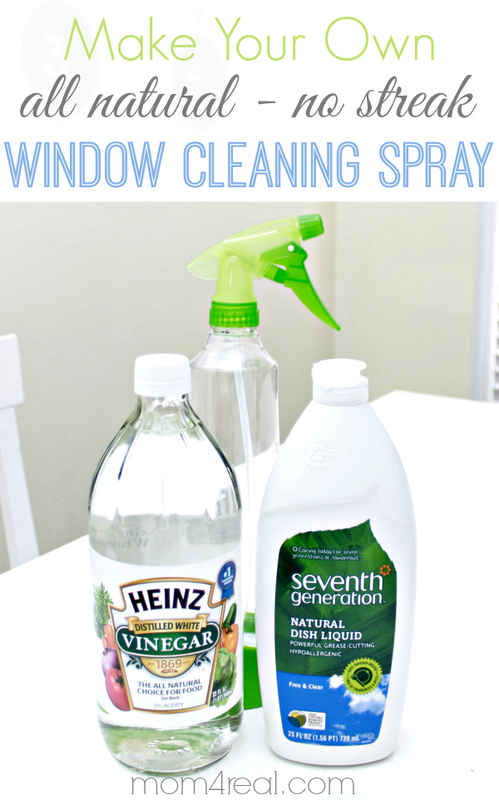 Today I want to share one of my favorite all natural cleansers, natural window cleaning spray. I’ve been using this homemade no streak glass cleaning spray for years and it works wonders on your windows! You simply add equal parts of distilled white vinegar and water to a spray bottle, then add a few drops of natural dish liquid and shake well. The great thing about this glass spray is that any time you are running low, you can just make some more instead of having to head to the store! I use this for windows, mirror, doorknobs, counter tops and just about every other surface in my home. Vinegar works as a great disinfectant, and the added dish soap helps with grime…the two together make an awesome team. To see how I use this all natural window cleaning spray to get my windows streak free and spotless, head over to see my super easy window cleaning tips, HERE! 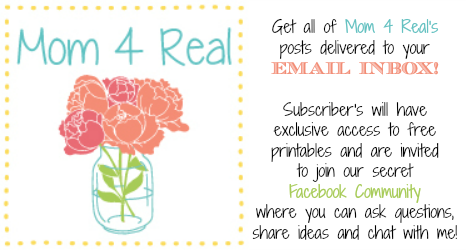 I also have a ton of other fabulous cleaning tips and tricks which I share every Tuesday…simply click the photo below to view them all! I hope you pick up a few tips that help make your cleaning a little easier! Why is it called Orange spray … No orange? Do you have to rinse this? Looking for something that doesn’t need rinsing. Thanks! You don’t have to rinse it, but you will have to wipe it away with a clean cloth. Thanks so much. You have a great site. I thought it was my computer. Could only do a few things. Will wait and try in another few days. Thanx again. I can’t for the life of me see where the recipe (amounts of vinegar, water, soap) make up your window washing recipe. Please help. It’s not on this page that I’m checking out…unless it’s hidden somehow.